Bannerman's two-volume Church of Christ is one of the greatest classic treatments of doctrine of the church in the history of the church. He is unashamedly Reformed and distinctively Presbyterian. The church mattered to Bannerman and his work can teach us about why the church should matter to us. James Bannerman was one of the many great luminaries who adorned the Free Church of Scotland in its early years in the nineteenth-century. His work was derived from his course lectures as a seminary professor and was published by his son, Douglas Bannerman. 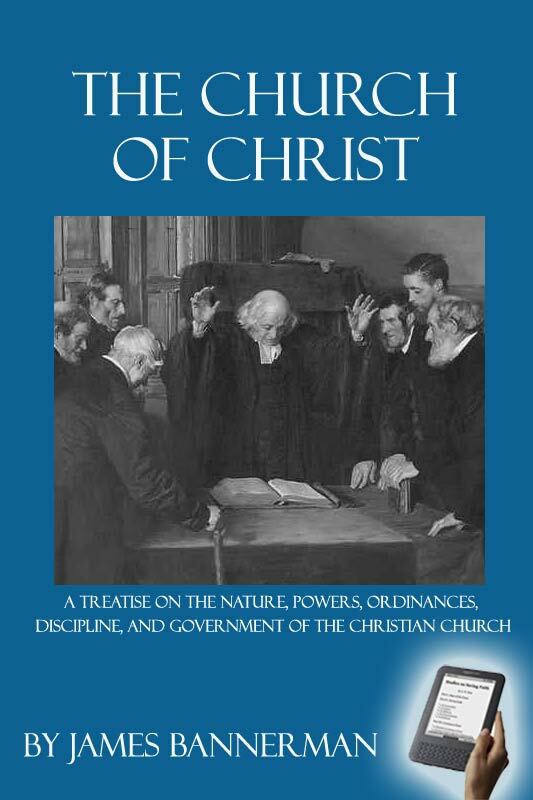 “Bannerman’s The Church of Christ is the most extensive, standard, solid, Reformed treatment of the doctrine of the church that has ever been written. It is indisputably the classic in its field." “During my seminary training in Edinburgh, I spent long hours plowing my way through James Bannerman's Church of Christ. There was so much valuable and precious truth in these volumes. “Professor James Bannerman taught annually on the doctrine of the church at the New College in Edinburgh until his death in 1868—the same year he finished his masterpiece, The Church of Christ. It was in this great work that Professor Bannerman sought to equip his students for their ‘delicate and arduous task’ as future churchmen. As it was the privilege of those young scholars to receive these words from his lips, it is our privilege to receive them from his pen. A Hard copy of the Church of Christ can be purchased here.